In addition to the Christmas Festival performances, guests have several other opportunities to experience all that St. Olaf College has to offer throughout the weekend. Come and see what St. Olaf students are selling in the mini-market in the Norway Room at Buntrock Commons! Sales from these groups support student organizations. 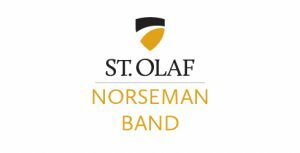 Join Norseman Band and conductor Arthur Haecker, as they lead an open sing-along concert in Boe Chapel. Singers of all ages and experience are encouraged to join the band as they play a selection of classic Christmas songs. Led by Jill Mahr, the St. Olaf Handbell Choir, Chapel Ringers,and Manitou Handbell Choir will again perform during the 2018 Christmas Festival weekend in the Crossroads at Buntrock Commons. Join us for a wonderful program of challenging and joyful music! Services of Daily Chapel are open to all. November 30, 2018 — 10:10 a.m.
December 2, 2018 — 10:30 A.M.